My latest column for History Today is out now, and can be read here. It's about Chaucer's brilliant, dizzying, disturbing poem The House of Fame, and its vision of what we have recently started calling a 'post-truth' world - in which stories spread and circulate regardless of whether they are true or not. Chaucer then describes an even more disturbing sight, more chaotic and unstable than the House of Fame: one built of twigs, whirling and spinning about at an incredible speed. This house is full of ‘tidings’; a useful Middle English word, which can simply mean news or information, but often has negative overtones of gossip and rumour. Tidings circulate in this house on every subject imaginable and, as they pass from one person to another, they grow in the telling, quickly becoming an inseparable amalgam of false and true. They spread like fire ‘from a spark sprung amiss / until all a city burnt up is’. In one especially vivid moment, Chaucer describes a false story fighting with a true one to escape out of a window of the house, each crying ‘Let me go first!’. They agree to go around the world as sworn brothers, so closely mingled together that no one will ever be able to separate truth from lie. 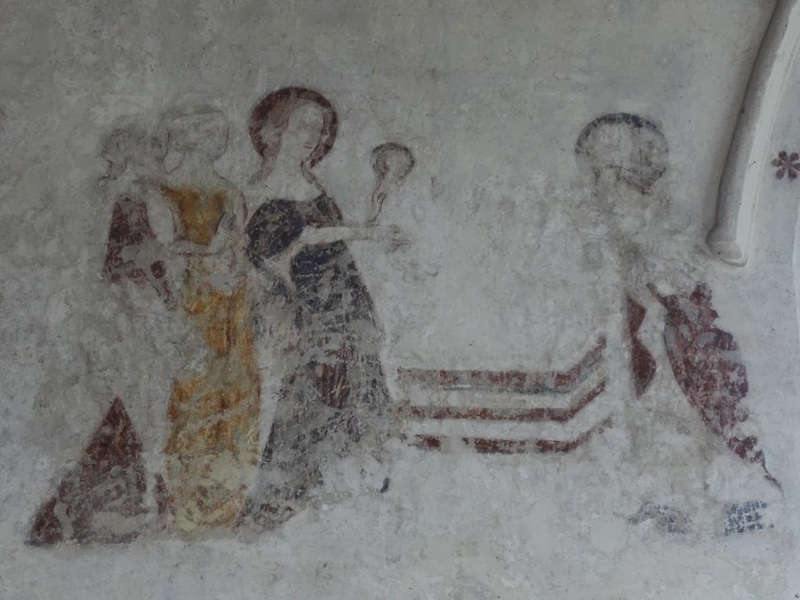 These tidings are then carried abroad by travellers, sailors and pilgrims - groups in medieval society stereotypically notorious for caring more about a good story than about the facts. Chaucer’s noisy, dizzying house of rumours will sound familiar to any user of Twitter. What Chaucer understands and brings sharply to life in this poem is that truth is rarely the most important factor in determining whether a story will spread. We are all capricious readers, who respond to and share stories that in some way accord with our own understanding of the world. This idea was a long-standing interest for Chaucer and lies behind The Canterbury Tales, too: as the pilgrims in that poem tell stories to each other, they demonstrate how complex the process of hearing and sharing tales can be. Whether they react to each other’s stories with praise or violent disapproval, the pilgrims are motivated more by their own interests and preoccupations than by the intrinsic value of the story. Once a tale is told, the teller cannot control how its hearers will receive it. That never mo hyt stille stente. To leten wel the soun out goo. No maner tydynges in to pace. Of fyr, and of dyvers accident. For hyt was sixty myle of lengthe. And hyt was shapen lyk a cage. That ys betyd, lo, late or now?" "No," quod he, "telle me what." "Thus hath he sayd," and "Thus he doth,"
"Thus shal hit be," "Thus herde y seye,"
What aloude, and what in ere. More than hit ever was. Til al a citee brent up ys. And flygh forth faste for the nones. "Lat me go first!" "Nay, but let me! But be thyn owne sworen brother! Be we cried or stille yrouned." Togeder fle for oo tydynge. This piece seems to have struck a chord, for obvious reasons. It seems appropriate that we should turn to Chaucer for comment on such a question: few writers have given more thought to what it means to share a story (or tell a tale), and what that act can reveal about the teller. 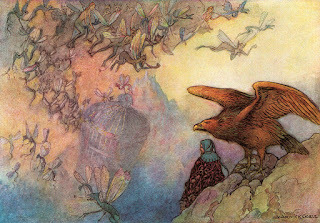 If social media is like Chaucer's House of Rumour or his Canterbury pilgrimage writ large, it's important to emphasise that for him this is in part a literary question, in the broadest sense: it demonstrates the importance of studying and understanding story, narrative, reading and interpretation, the use of words. All 'tidings' are only words, and so in order to understand them we should learn from thinking about how stories work and where they derive their power. This world was never so untrewe. Behynde, hit is another hewe. His feble fables schul hym rewe. The time to rue that is full due. Behind, it shows another hue. These feeble fables they shall rue. So wrote an anonymous contemporary of Chaucer, one of many writers in the late fourteenth century to lament what's been called that era's 'crisis of truth'. (Here's another one). In saying that 'this world has never been so untrue', he means something even more serious than Chaucer does in talking of tidings 'of fals and soth compouned'; at a time when trewthe meant not just factual accuracy but faithfulness, integrity, honour, an 'untrewe' world was a frightening prospect. How much worse would a post-truth one be? 'Whan alle tresors arn tried,' quod she, 'Treuthe is the beste. It is as dereworthe a drury as deere God hymselven. 'When all treasures are tried,' said she, 'Truth is the best. It is as precious a love-gift as dear God himself. 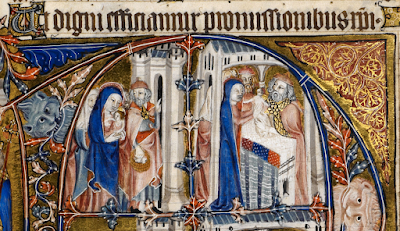 Today is Candlemas, the Feast of the Presentation of Christ in the Temple, and the end of the forty-day Christmas season. 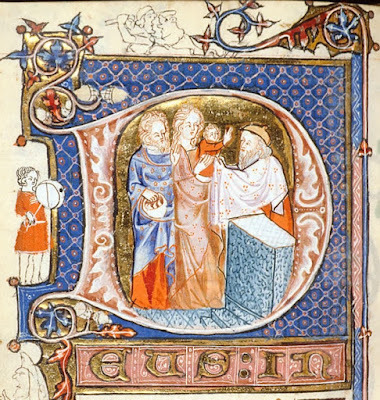 It takes its English name from the custom of blessing and processing with candles on this day, a practice linked to the words of Simeon on meeting Christ that he is 'a light to lighten the Gentiles'. This is a festival of light and hope, a first shoot of spring. 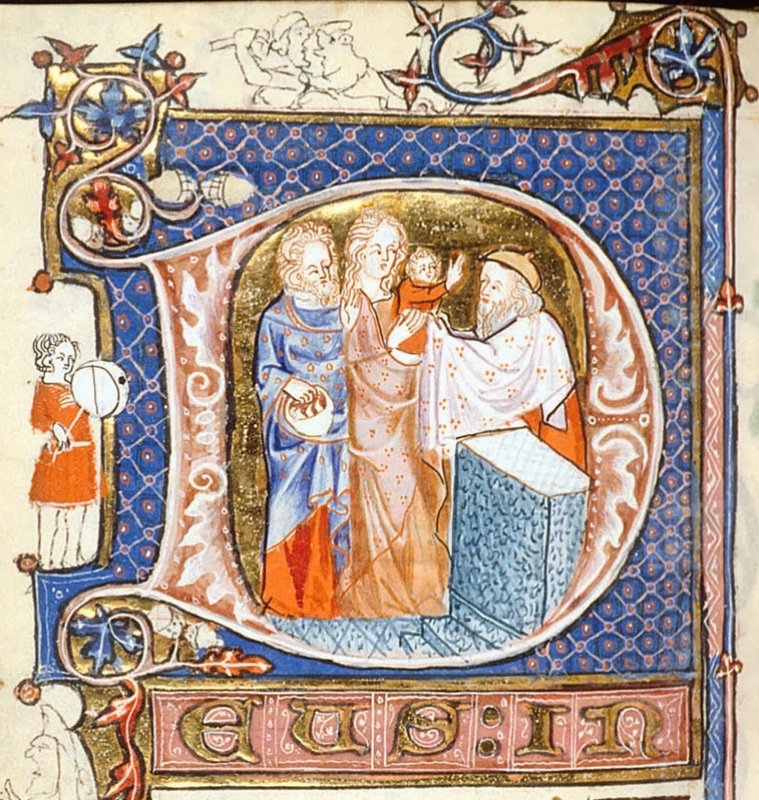 The name 'Candlemas' dates from the Anglo-Saxon period (the first recorded appearance of the name is in the Anglo-Saxon Chronicle's entry on the death of Svein Forkbeard in 1014), and there's plentiful and evocative evidence of the observance of this feast in England from the tenth century onwards. 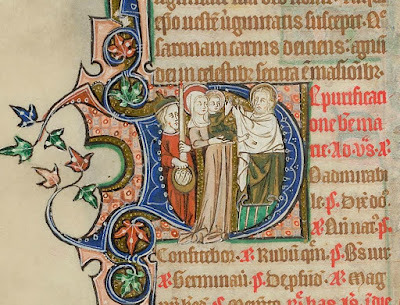 In the past I've posted an Anglo-Saxon sermon for this feast, a Candlemas miracle-story about St Dunstan, Cnut's Candlemas song at Ely, a particularly lovely Middle English Candlemas carol 'The queen of bliss and of beauty', and Margery Kempe's description of her experience of the celebrations of this day - five centuries of Candlemas Days. The liturgy for this day is particularly dramatic, encouraging the congregation to re-enact the Gospel story by bearing the light of Christ in their hands. The Presentation in the Temple is also represented in medieval drama, in several different versions, so here are a few short extracts, in modernised spelling, from the fifteenth-century N-Town Plays. The full text can be found here, and you might like to compare the treatment of the same subject from the York Corpus Christi Plays. They are both full of beautiful poetry, and they take on greater depth of meaning from their place in the cycle of plays of which they form part: in both cycles, this play follows immediately after one in which the audience has just seen Herod, ranting and raving in the full bluster of tyrannical power, interrogating the Magi as they seek the baby Christ. This angry, violent, unjust ruler believes his power to be supreme, and plots how to secure it by attacking the innocent and the weak. But the next play presents the exact opposite: a simple scene of a meeting between two old people, made frail by years of patient service, a humble man and woman, too poor to afford anything but the simplest offering, and a tiny child, in whom dwells their long-awaited light and hope. In old age and helpless infancy, in faithful poverty and obscurity, in gentle love and tenderness, lies a power greater than any worldly ruler can comprehend. My Saviour with my eyes to see. It is great distress unto me. That blissful birth to bide. To comfort me after my woe. To live and bide this. Which is my joy and bliss. When God, my Lord, is born. All hail, Simeon! What tidings with you? Why make ye all this mirth now? Tell me whither ye fare. Our Saviour is come to end our care! Therefore have I great mirth to go. And therefore hinder me not, good friend. Since that time is come to be! With all my will and my full mind. As I am bound, now will I do. Even through his mother's heart. 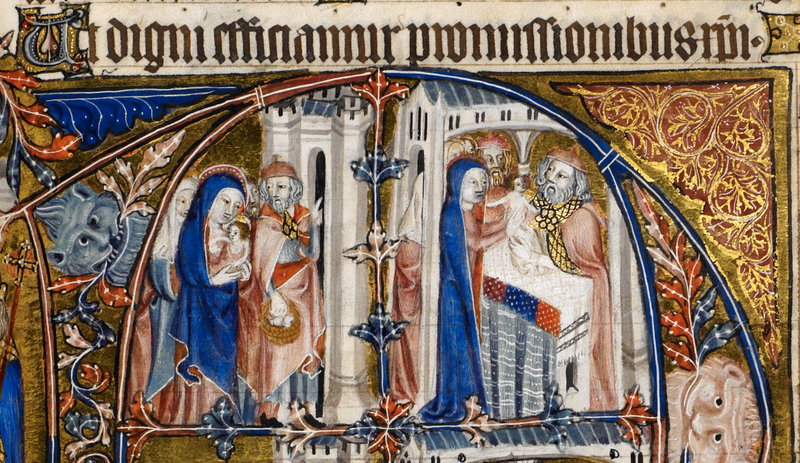 Simeon: All hail, my kindly comforter! Anna: All hail, mankind's creator! Simeon: All hail, thou God of might! Anna: All hail, mankind's saviour! Simeon: All hail, both king and emperor! Anna: All hail, as it is right! Simeon: All hail also Mary bright! Anna: All hail, salver of sickness! Simeon: All hail, lantern of light! Anna: All hail, thou mother of meekness! And therefore take him here. Welcome, my Lord so dear! 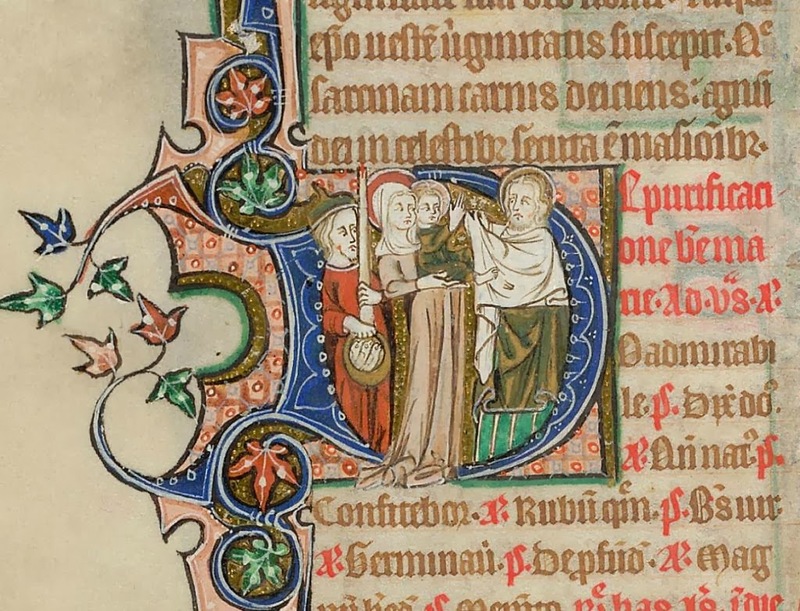 Then follow English versions of two Latin liturgical texts for Candlemas: the Introit, 'Suscepimus Deus misericordiam tuam' ('We have received thy mercy, O Lord, in the midst of thy temple') and the Nunc Dimittis. Thy great mercy, as we may see. And rest and peace to all mankind. And keep him well, this man's salvation. As I to your law am sworn. 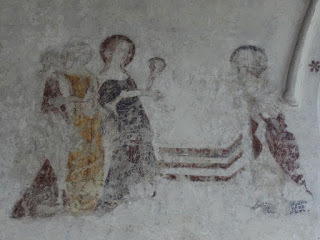 That of his mother is born. If we should long asunder be!